 With the Melissa & Doug Shape Sorting Clock, children learn to tell time.  Combines shape sorting and telling time play. 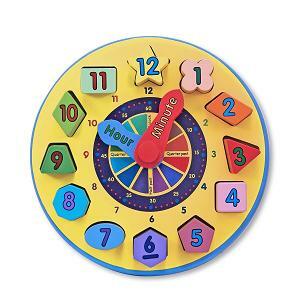 The Melissa & Doug Shape Sorting Clock (ages 3 and up) is a great toy for younger children. This toy combines shape sorting and learning to tell time. Children place the numbered shape pieces in their proper places on the face of the clock and move the hour and minute hands and learn to tell time. The toy is made of wood so it’s very durable and can be passed on to another child. 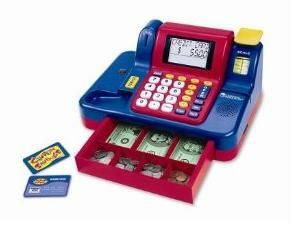 Overall a terrific toy for teaching time. Children not only learn about numbers, they also learn to tell time with a traditional clock.